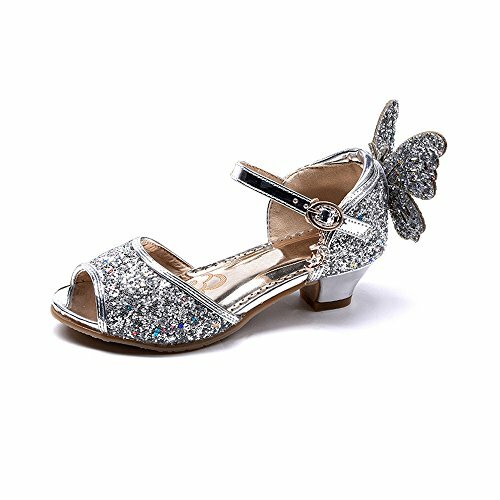 OCHENTA Girls' Peep Toe Princess Butterfly Kitten Heels Glitter Sandals Silver Tag 32-13.5 M US Little Kid by OCHENTA at SCRHI. MPN: US-TZ23-1788-1-02-Silver-32. Hurry! Limited time offer. Offer valid only while supplies last.